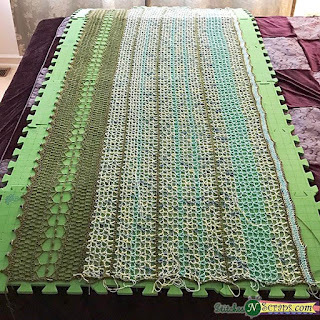 Once you have finished crocheting your shawl, it's time to block it! I like to soak my projects for at least 5 minutes to make sure all the fiber is saturated. I also use a gentle fiber wash and/or rinse product. Be careful not to wring the fabric. To get more moisture out, try rolling it up tightly into a towel instead. When laying it out, remember that cotton reacts to blocking differently than wool or acrylic. Wet cotton will stretch very easily, but won't bounce back again once dry. Take care to stretch it gently, and a little at a time. You can use any surface you don't mind sticking pins into. However, using a smoother surface, like blocking mats, helps the fabric to dry more quickly. An absorbent surface like towels will actually hold the moisture in place much longer. If you don't want to use a million pins, try blocking wires. These are great for projects with long, straight edges like this. I used pins mainly because I couldn't find my wires at the time. Please do share your finished photos on the Facebook group and on the linkup on the main CAL page, so we can all enjoy seeing them! Bead Biz - see the main CAL post for a special coupon code! Please consider supporting our sponsors -we couldn't bring you great CALs and prizes without them! You can find complete prize details and giveaway entry instructions in the main CAL post. Thanks for making this shawl with us, and I hope you'll join in our next fun CAL as well! 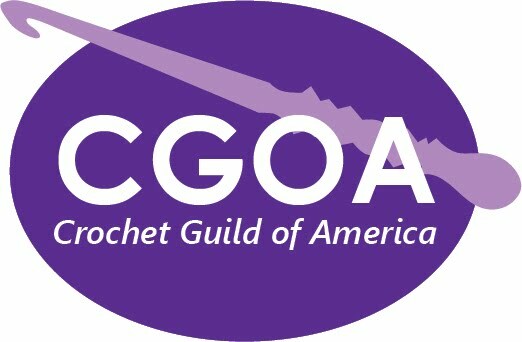 Welcome to the CGOA Spring 2017 CAL! In this crochet-along, we are making the Sargassum Shawl. Be sure to check out the main CAL post for all the details, including prizes and giveaway information, the full schedule, and more. This is it! In this week's section we'll be completing the shawl with a top border and edging. You can find the Sargassum pattern here, and it has now been updated to include the complete pattern. If you're just joining us, don't worry - there's still an extra week to catch up. 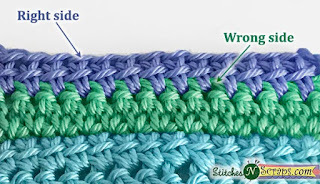 We have another new technique in the top border - the linked dc stitch. 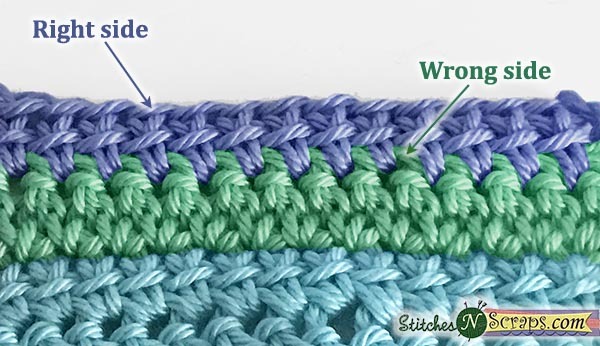 Basically, this is a way of connecting dc stitches in the middle so they're less floppy. It does look different on the wrong side, so please take a moment to make sure you are on the correct side of your work. I've loved watching your shawls come to life, and can't wait to see the new photos on the Facebook group and on the linkup on the main CAL page! We couldn't bring you great CALs and prizes without them! You can find complete prize details and giveaway entry instructions in the main CAL post. This month's roundup features 9 (mostly free) patterns that are perfect for Father's Day Gifts. These patterns include a range of projects including wearables, totables, and home decor. All photos are used with permission of the respective designer or publisher. Enjoy! 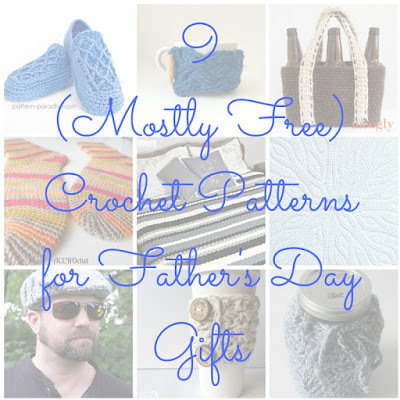 What are your favorite crochet projects to give (or receive) as Father's Day Gifts? Welcome to the CGOA Spring 2017 CAL! In this crochet-along, we will be making the Sargassum Shawl. Be sure to check out the main CAL post for all the details, including prizes and giveaway information, the full schedule, and more. The sun is starting to set on our CAL - we've finished 3 of the main sections, and are now on the last main section before the top border. It's not too late to join in though; we have some extra time built in at the end! 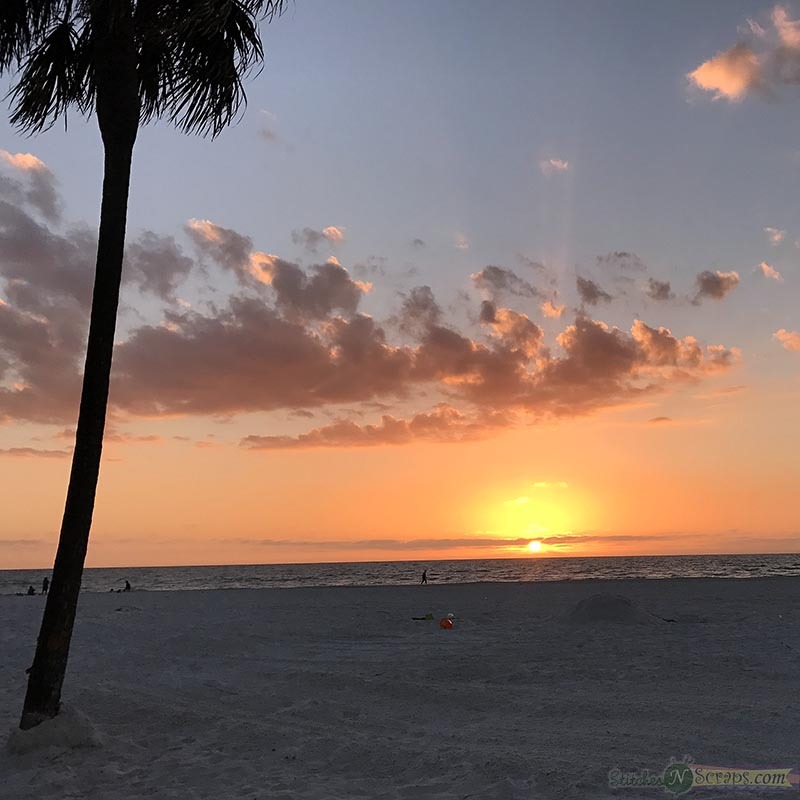 You can find the Sargassum pattern here, and it has now been updated to include the fourth main section. This section is exactly the same size as section 3, but has a different striping pattern, with more of color C and less of color B. Several people have shared their progress photos on the Facebook group, and they're all looking fantastic! 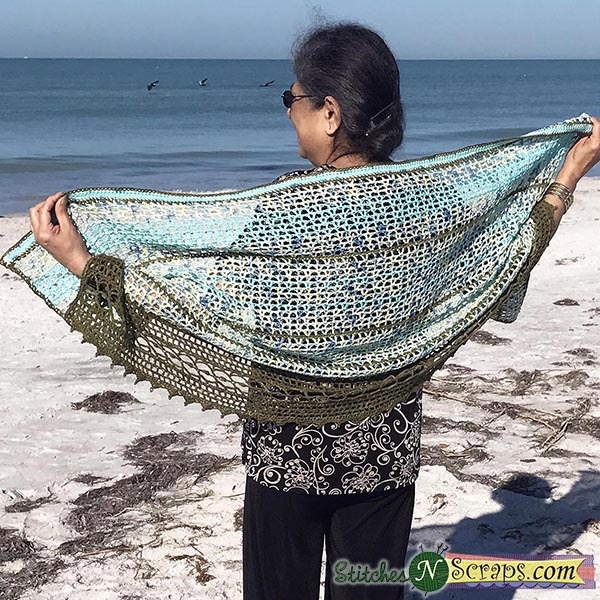 I notice no one has added a photo to the linkup on the main CAL page yet - remember you can add WIP pictures there too, it doesn't have to be finished shawls only! One of our prize sponsors, Knitters Pride, recently featured me and this CAL in a designer spotlight interview! It was so much fun and I hope you'll take a couple of moments to read it.